Nominal dimensions: .935 in. x 5.4 in. Board Weight: 2.36 lbs./linear ft.
Symmetry features a matte finish, subtle streaking, and four earthy colors: Burnt Umber, Cinnabar, Graphite, and Warm Sienna. 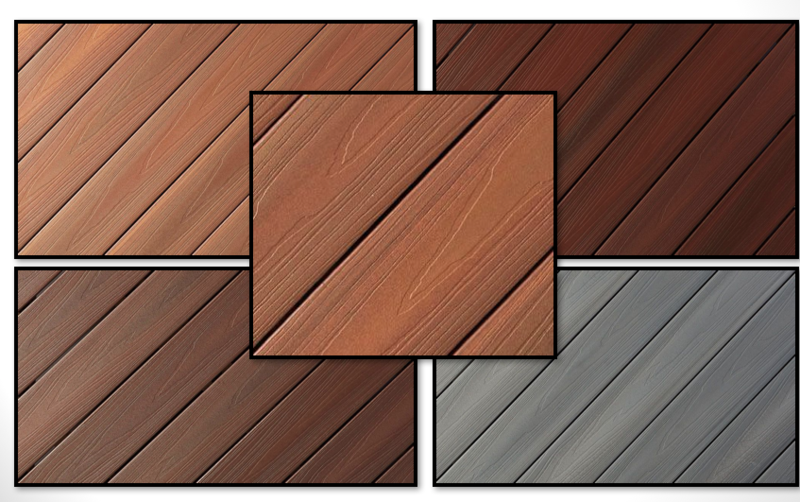 Horizon features a traditional wood finish, dramatic streaking, and four distinct shades: Ipe, Castle Gray, Rosewood, and Tudor Brown. Access tech and testing docs, detail drawings, 3-Part Spec and more resources. Ipe wood, in this example, will fade up to a 50 delta E in just two years. 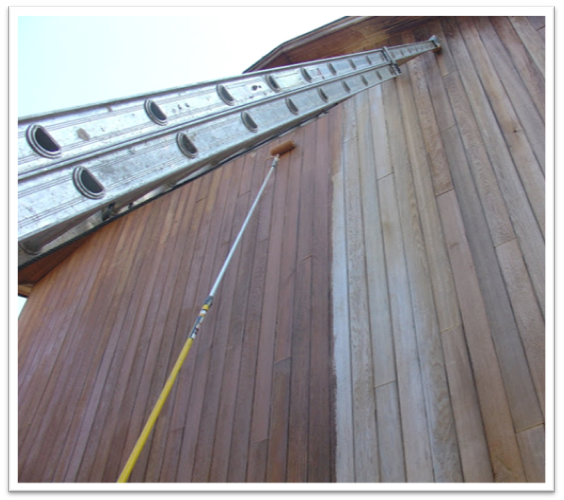 Therefore, the upkeep on wood (pressure washing, re-staining, etc.) doubles the cost of ownership every two to five years. Fiberon cladding, on the other hand, experiences a minimal 5 delta E change after five years. A polymeric cap layer containing UV inhibitors, and non-reactive pigments, give Fiberon composite cladding outstanding color retention and resistance to fading. 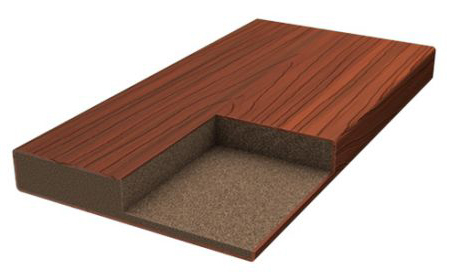 Fiberon Composite Cladding must be face fastened. Different fasteners result in varying aesthetics. 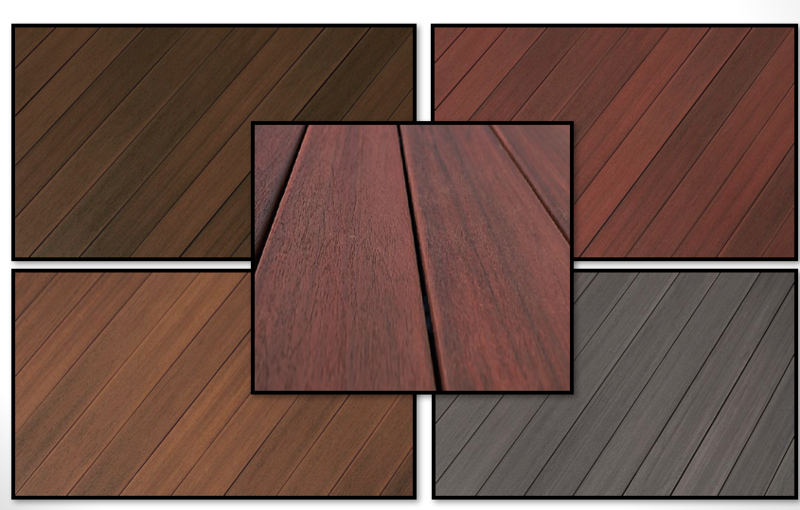 Composite Deck Screws, which come in a variety of finishes, are recommended for best results. Coordinating colors virtually disappear, whereas a contrasting bright stainless steel adds a dramatic architectural effect. Please refer to Rain Screen Accessory Manufacturers for examples of fastener options. We recommend using specially-coated fasteners or minimum 316 SS grade fasteners in areas in which salt water or salt spray could result in rust. High Velocity Hurricane Zones (HVHZ) require a minimum #9 x 2 ½” composite decking screw. Certain applications like metal framing may require screws with drill points. Please see Cladding Installation Instructions for complete details.